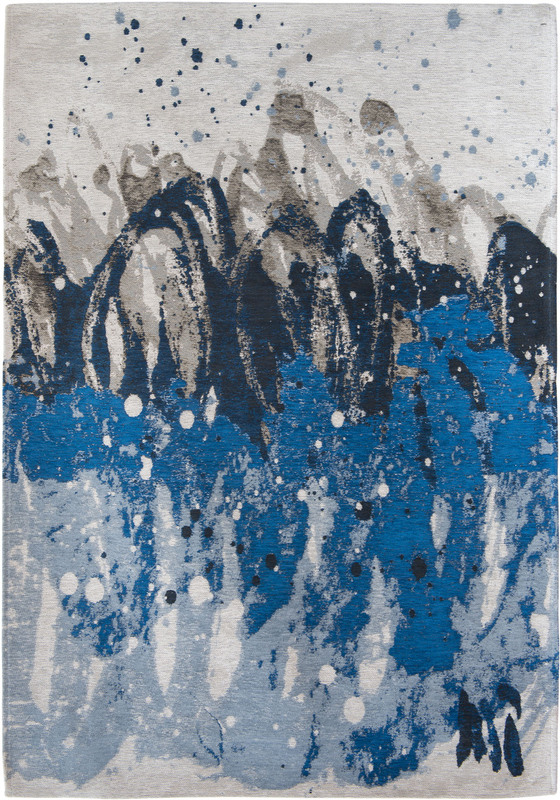 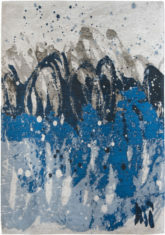 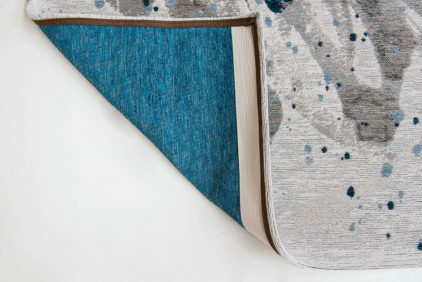 Modern rug – BLUE WAVES 8486, by the renowned Belgian brand Louis De Poortere. 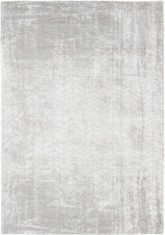 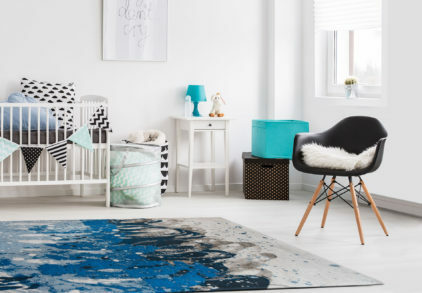 The rug is made of 85% cotton chenille (with addition of 15% high-gloss poliester, to achieve shiny effect) which makes it soft to the touch, also improves acoustics of the interior, and its breathable structure keeps the warmth while stopping dust and chemicals, thus makes the air you breathe more pure. 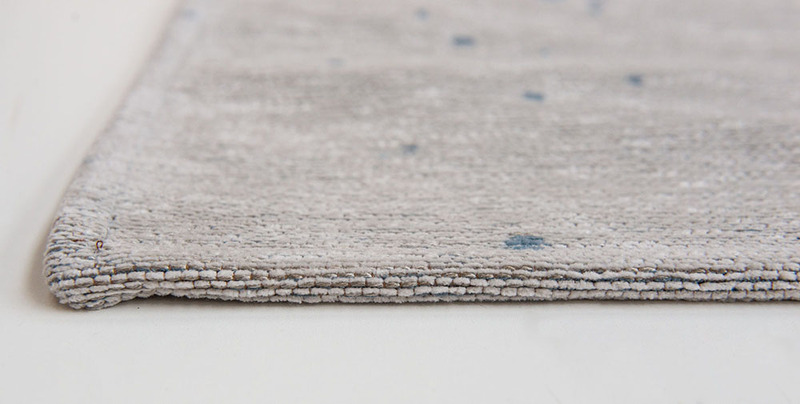 Very dense Jacquard Flat Weave method allows to obtain a very detailed pattern, while providing durability and higher, than in thick rugs, resistance to deformation under the weight of furniture. 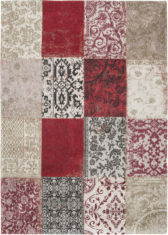 In addition, the rug is easy to keep clean due to the short fleece, which can easily be vacuumed. 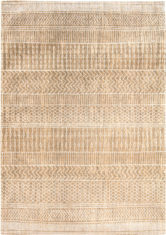 Thanks to the rubber coating on the bottom, the rug is stable and does not move. 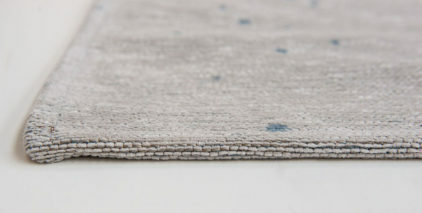 The fabric has a low flammability, while maintaining high thermal conductivity (confirmed by certificates), so it is perfect for rooms equipped with a fireplace as well as with underfloor heating. 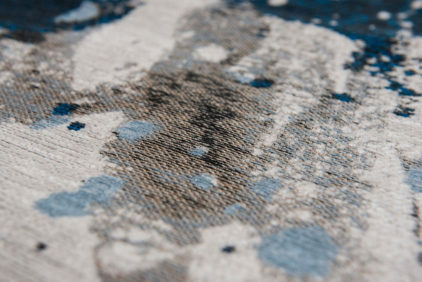 The rug was created using ecological production technologies and neutral textile dyes, thanks to which it obtained the OEKO-TEX 100 certificate, so it is safe and health-friendly for yourself and your family. 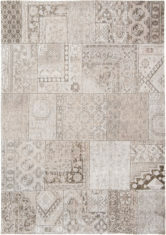 * Standard deviation from the specified dimensions up to 5% is acceptable, as well as a slight unevenness of the edges of the rug.